Some gadgets are fun while other inventions are not just expensive toys for grown ups, as they can greatly improve your driving experience. 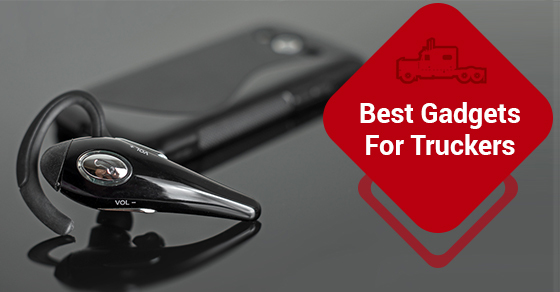 Once you’ve found the gadget for you, your whole driving experience will change dramatically. How would that happen exactly? Either the device solves a problem you never knew you had, or it resolves an issue that’s been bothering you since day one. If that sounds familiar then read on to see how this list can help! Bluetooth isn’t just for when you’re fiddling around with your electronics at home, it’s actually great for hands-free operation of your phone. In combination with voice activated control of your smartphone, you can just leave it charged into the dashboard while you connect with your loved ones. Headsets come in all shapes and sizes so keep shopping to find one that suits your preferences, whether it’s one that wraps around your ear, or comes in the shape of standard headsets. We’re on our phones for entertainment, work, errands, and communicating with our friends and family, so it’s no exaggeration to say that it’s a priority for most people to be able to access the web at any time. Once you leave the city where you preside, you’ll quickly be inside of roaming areas or worse, you’ll lose all internet access. To prevent these extra charges or losing reception altogether, a simple hotspot device will allow you to have wi-fi wherever you go. Having a mini-fridge isn’t just about keeping your drinks cool, it can lead to a healthier lifestyle. Roadside restaurants usually don’t offer good food that you’ll want to eat, and you could easily throw together a salad that’s tastier and cheaper to make. Sounds too good to be true? It’s probably because you’re not using the right recipes. To solve that problem, here is a list of recipes for delicious salads that are easy to make, and don’t skimp out on ingredients like herbs, as they really bring flavour to the dish. Plus, you can pack your favourite craft beer with you while you’re on the road. Portable power inverters so you can bring appliances with you. XM radio because regular radio just won’t cut it. Portable entertainment devices such as the kindle or a DVD player.